On my birthday, I and my boyf had a wonderful dinner at the best restaurant in Frankfurt. It was kind of difficult to decide, since Frankfurt offers a wide range of nice place to spend the aging celebration. Restaurant above the river Main? Or a nice lounge on 35th floor with a comprehensively wide city view? Or rotating dinning place? Or maybe in a hotel-restaurant named after an American president, who has the most expensive Martini (also named after him) in Germany? We got them all. And yet, since it's my first celebration with him (we hardly go out together, due to his cray cray work schedule), I picked something special. A place when I saw for the first time, I knew I would love to do anything, literally anything, in that building. 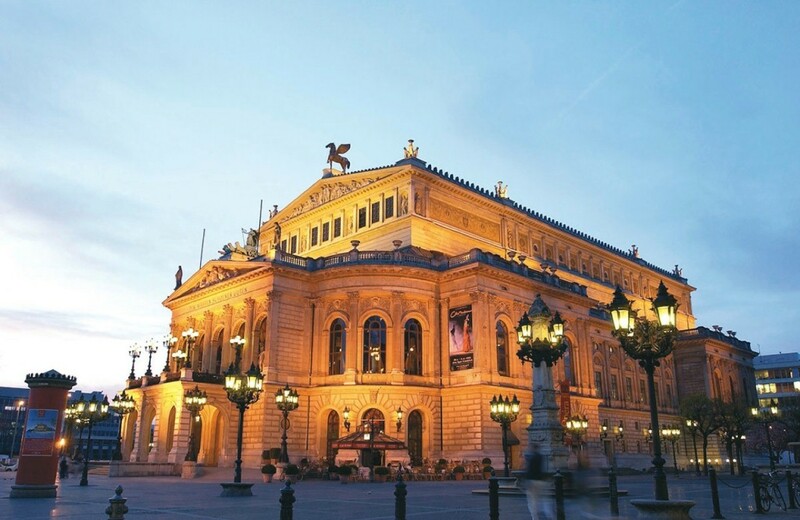 It is the Opera House of Frankfurt am Main, die Alte Oper. While dinning, we were accompanied by the greatest rhymesters and littérateurs of all time; Shakespeare, Goethe, Schiller, and Moliere. 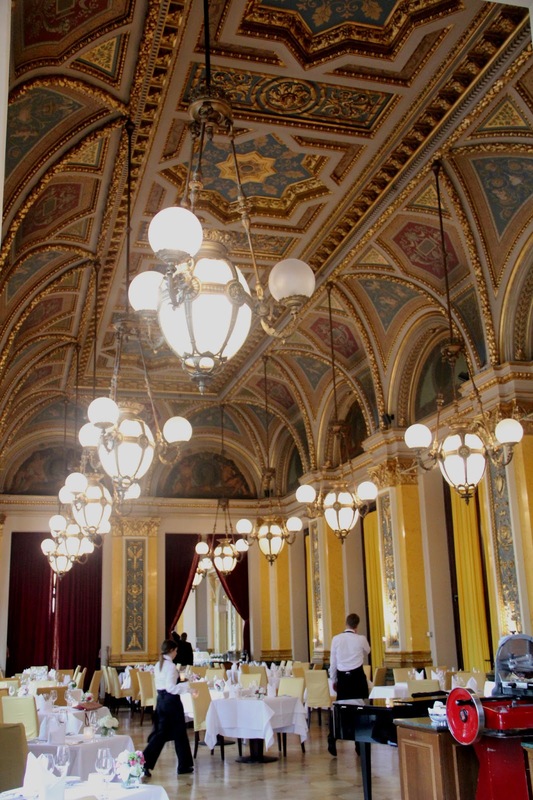 They also have house grand-piano, as the restaurant is the part of the opera house. And if you are lucky (like we were, unplanned), after the true artists performed at the opera house, they will entertain the restaurant guests with a song, along with a piano play. With world-class performance. So make sure you stay until over 10 pm, because usually the opera performance finishes at that hour. Oh I felt like I took an odyssey to Victorian era.